Besin/ Senaga Pappu/ Gram flour is one wonderful powder that adds magic taste to few recipes, besin bhendi is one of them. Everyone like their bhendi/Bendakaya fry crispy and no sticky, that is possible only when we deep fry the vegetable which is unhealthy. Addition of besin to the already cooked bhendi fry makes the curry non greasy by absorbing all the moisture in the fry. Bhendi is my dad's favorite vegetable, now after tasting this curry my hubby became a huge fan of bhendi. Now coming to the recipe. 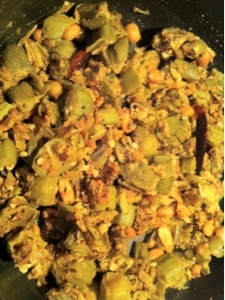 Heat oil in a pan and add mustard seeds, when they start splattering add cumin seeds and urad dal. When the urad dal turns brown add onion and fry till they are transparent. Add turmeric and ginger garlic paste and cook till raw smell disappears. Add bhendi and cook till they are tender you can cook even by closing the pan with a lid or in an open pan. Cooking in a closed pan makes it to cook faster, but once the bhendi is cooked you will have to remove the lid and cook. Add Cumin powder, coriander powder, red chili powder, salt and amchur powder and mix well. Finally add 3 tbsp of besin flour and mix well. Cook in the while lid open under medium flame till the fry turns crispy. Finally add oil roasted ground nuts and mix well. Turn off the stove garnish with cilantro if you like and serve with rice. This goes awesome with tomato rasam and white rice. 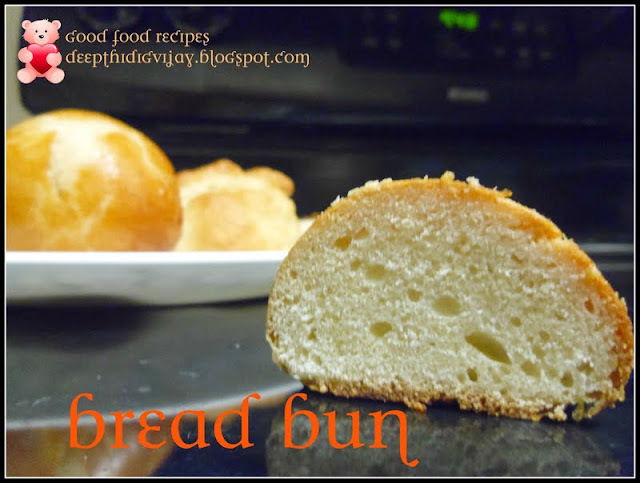 Hope you like my recipe, please leave your valuable comments!!! Besan does add a special something to this dish. mmmmm.... yummy and delicious fry. I agree with you all, the curry turnded crisp and scrumptious!! !